For many of you, my Ironman pinata of ridiciulous dimensions is old news. But last June, just as I was finishing building the largest and best behaved guest at Mbot’s fourth birthday party, my camera died at the hands of said birthday boy, and so the final images that appeared on the blog were teeny-tiny stills captured from my video camera, and I didn’t know how to make them any bigger. 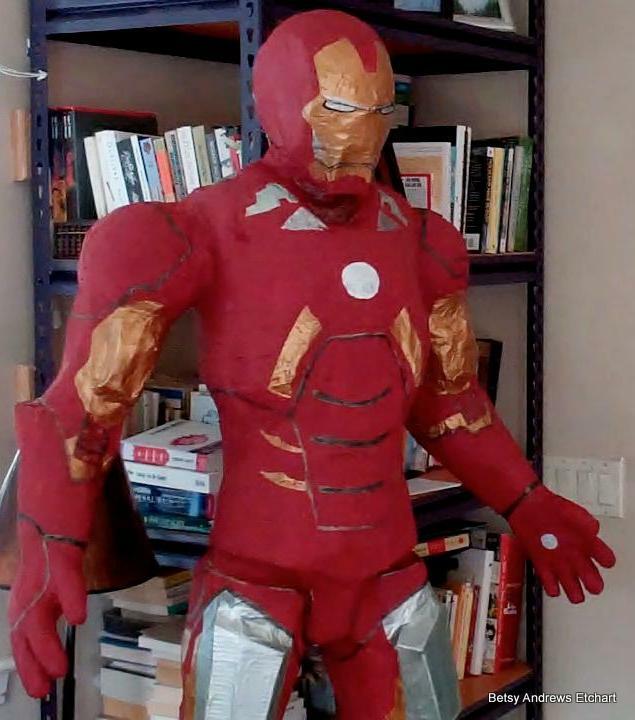 Well, seven months later, I have figured out how, and due to the overwhelming number of Google searches for Ironman pinatas, many of them in Spanish, I’ve decided to post them here, just in case anyone wants to repeat my folly and create in their dining room a 5’8″ hollow Superhero sculpture made of newspaper, water, flour, and balloons. 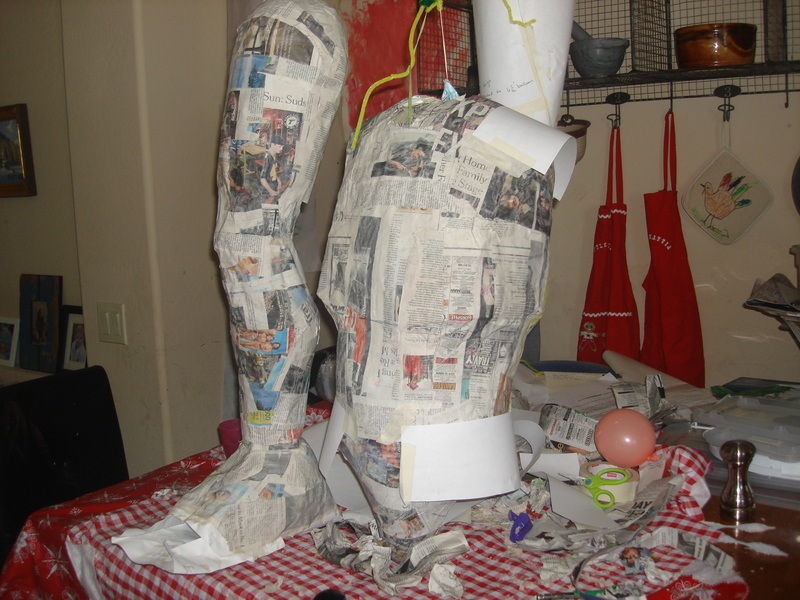 The entire premise of building a pinata in your dining room–especially when you live in Arizona, within a thirty-minute drive of an ENORMOUS pinata store, and your assistants are two hyperactive midgets with too little appreciation for long-term goals and too much appreciation for flour paste, is ludicrous. But there is nothing like laundering many small socks, wiping many small booties, and preparing many small meals every day, many of which are greeted with “Blech!” before being pushed half way across the table, to inspire one to create something big and lasting that will be greeted with “Ooohs!” and “Ahhhs!”, even if it’s eventually whacked to bits and survives only in photos. 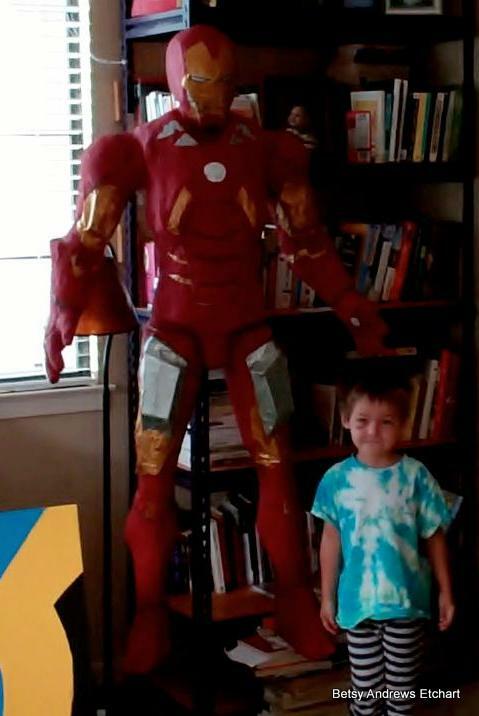 It was that sort of housewifishness, mother-of-weebots, frustrated artist mentality that drove me to purchase the thirty-inch high “It’s a boy!” bottle-shaped balloon that would become Ironman’s torso, setting the scale for Ironman’s body, and coming to represent the first circle of Pinata Hell. Here we have Ironman at about the midway point. 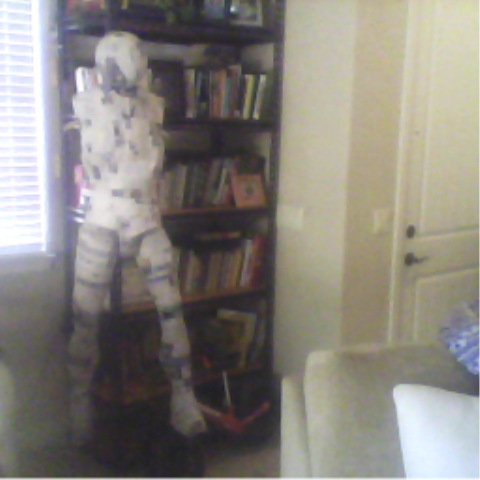 The coat hanger that we hung him from is visible sticking out his neck and arm holes. The hanger eventually required reinforcement in the form of Gorilla glue, when the metal hook pulled out of the wood. I suppose I should report on what has finally happened to Ironman. 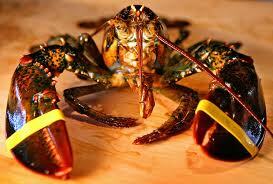 For a long time–many months–I kept his limbs in a pile in the garage. 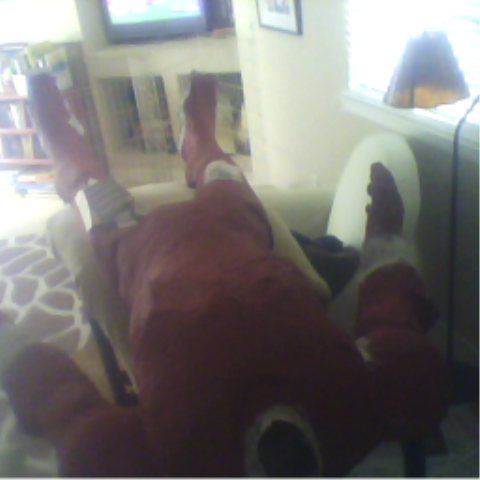 The bots got a kick out of trying on the legs from the knee down, and chasing each other wearing the giant red arms. My plan was that perhaps I would reassemble him and hang him in their room, slanting from the ceiling like he was flying. But a few weeks ago, in a claustrophobic cleaning frenzy of the sort that grips me every ten years or so, I stacked the body parts in the recycle bin and breathed a sigh of relief that it was gone. After seven months, in my mind, he had finally turned into an it. I forgot one arm, and the bots spent an afternoon chasing each other with it, at which point I think it, too, went into the recycle bin. This morning when I brought the empty bin back into the garage, I saw a single red finger laying on the concrete. I thought of evil little Peter Pettigrew in the Harry Potter books, who cut off his own finger before turning into a rat, to “prove” to everyone he was really dead. Hmmm. Is Ironman not really dead? Does he live on? 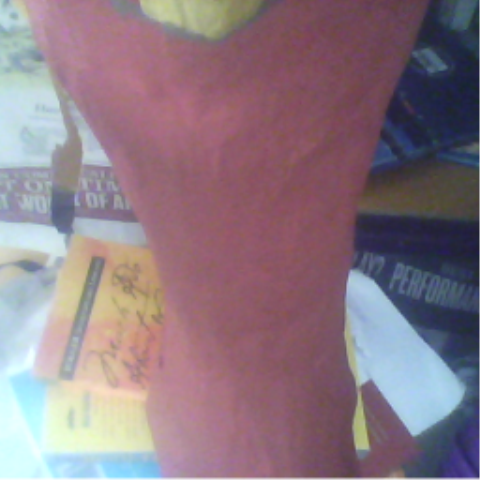 If I ever start building a giant rat pinata, will somebody please stop me? 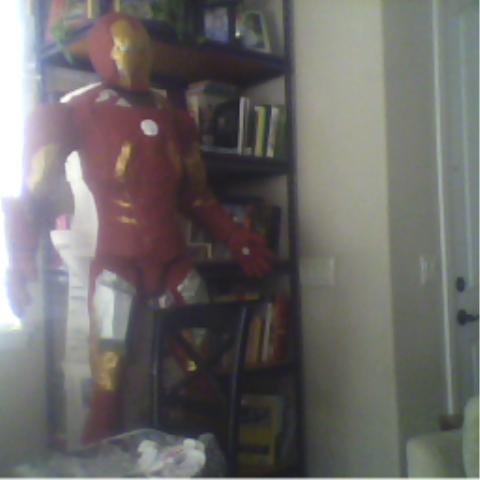 If I Build an Ironman Pinata, Will Robert Downey, Jr. Jump Out of It? It would be so much simpler to just drape Robert Downey, Jr. in wet newspaper, allow it to dry, and then gently snip it off. 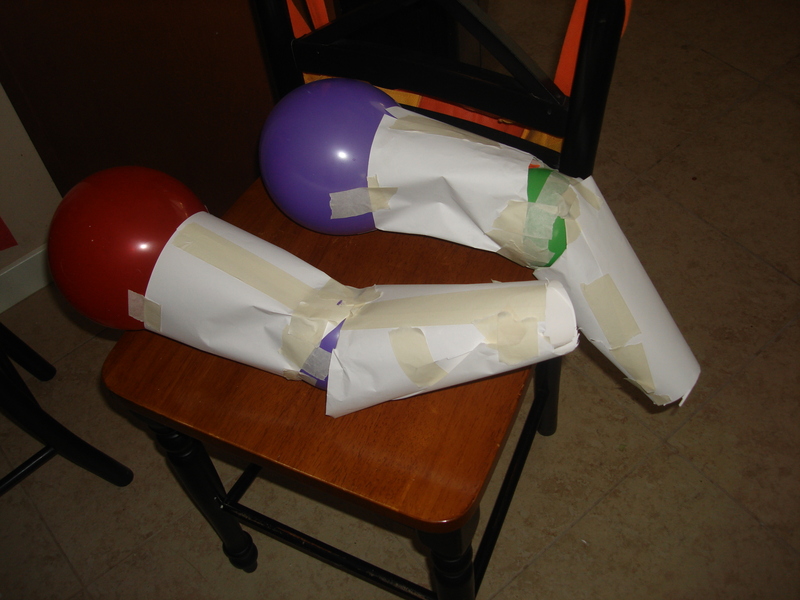 Isn’t there some culture out there with a creation story involving balloons and masking tape? 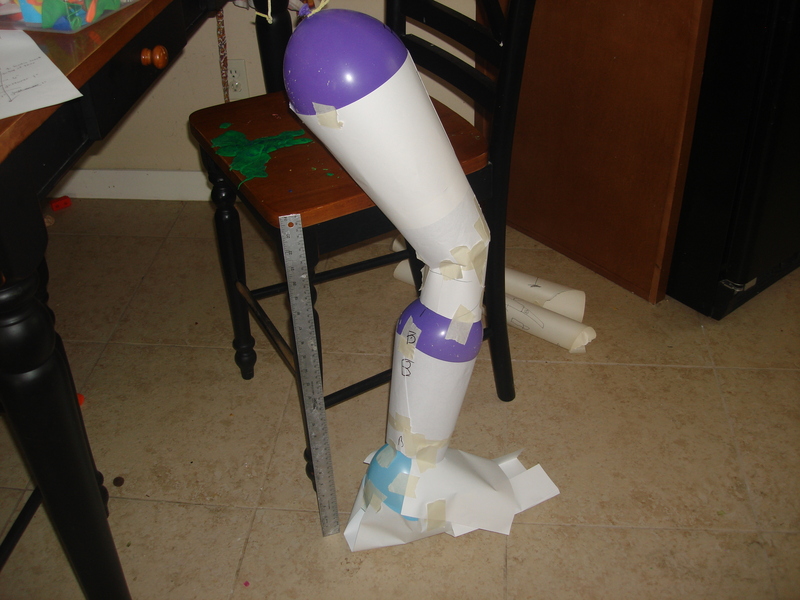 This is Stage One of Ironman’s left leg. Did I mention I am beginning to dislike Ironman? And not just because his legs are longer than mine. But because, as the project continues, I am faced at every turn with several ways to do things right and several thousand ways to do things wrong. Malcolm Gladwell, in his book Outliers, in which he explains cultural and social reasons for the existence of, say, Bill Gates, and The Beatles, explains that it has been calculated in cases from Mozart to McCartney that it takes a person 10,000 hours of doing something before he truly becomes an expert. Bill Gates was able to spend about that much time in front of a computer with a modem–almost unheard of at the time–before he turned twenty-five. The Beatles played nightly six-hour sets in a German club before they returned home to change history. And Mozart, of course, if he began composing at the age of four, had about that many hours tucked under his frock when he wrote The Marriage of Figaro. 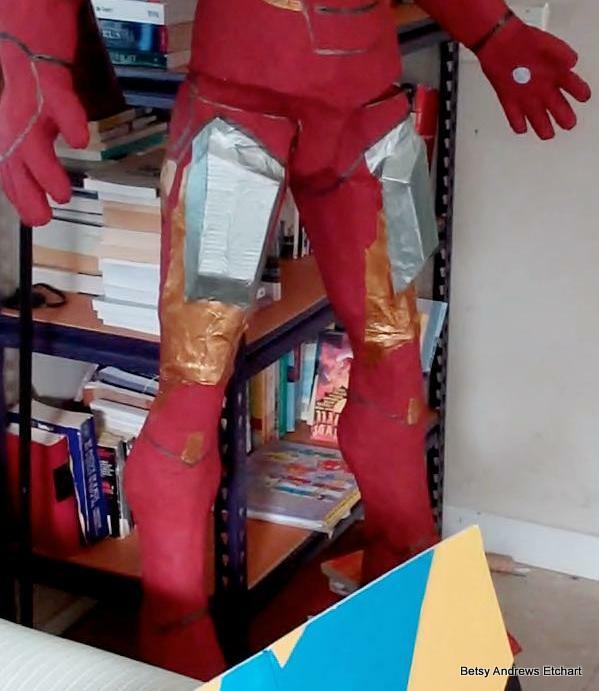 And so, assuming that I possess an innate ability, if I practice paper mache three hours a day, every day, even on Christmas and when I have a hangover, I should be an expert at Ironman pinata-making by Malcolm’s fourteenth birthday. A sobering thought. 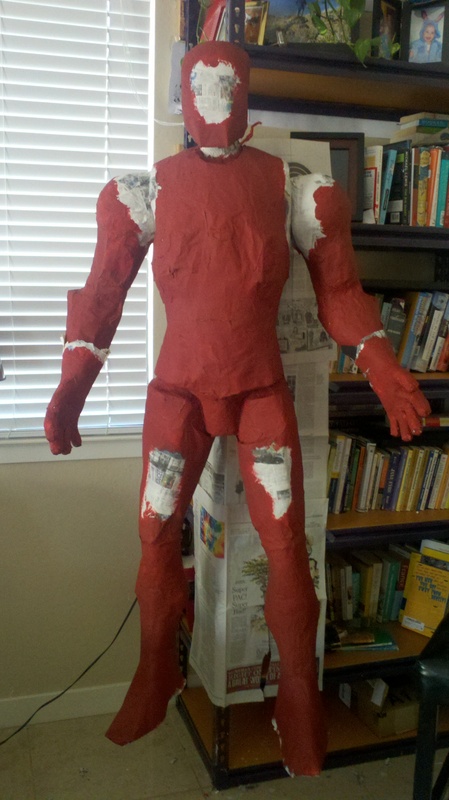 Do you force your fourteen year-old to use the Ironman pinata you’ve been perfecting for ten years? Maybe my time (not to mention my Times) would be more wisely spent elsewhere. It seems to just keep getting messier. I don’t think the Bionic Man started out this way. 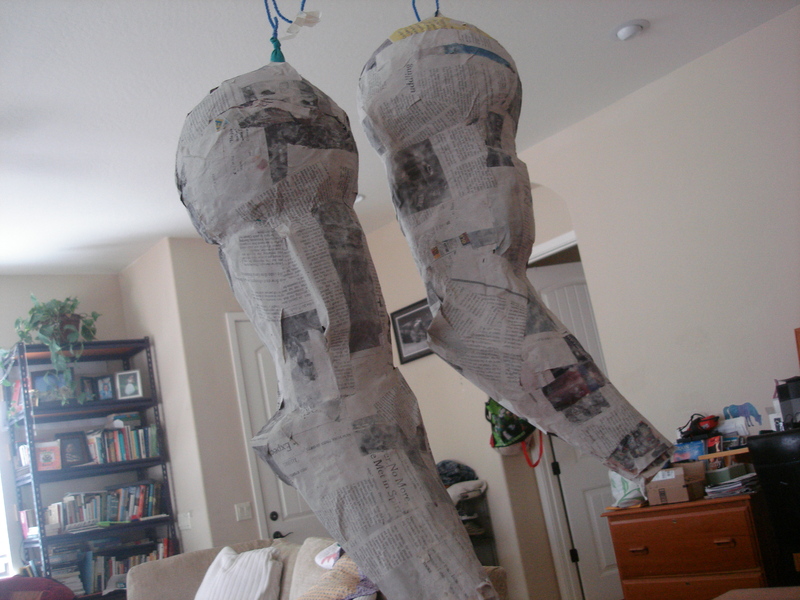 But you have to start with something, and since we don’t have an abundance of seventh ribs to practice carving up, we here at Pinata Central use balloons, printer paper, and old-fashioned masking tape. We also consult a tape measure and the trusty Ironman Action Figure, to make sure we don’t end up with something that looks more like Babe or Benji than Robert Downey, Jr. in a puffy suit. I actually thought a few days ago that I should consult my friend Geo, who is a professional model-maker (as in models for sunglasses and ski goggles, not as in Cindy Crawford) and who has been known to fabricate not a few fabulous Halloween costumes. (I am not always so good at recognizing the resources at hand.) So as soon as I have a spare minute, I’m going to ask him if he has any tips for pinata construction. 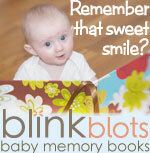 If they are not copyrighted, I will share them with you. Hanging by a pipe cleaner: Finally getting our money’s worth out of the chandelier above the dining table. And hallelujah, there WAS a naptime. After the park, a playdate, pretend flying off the sofa, fighting over a fort, and swimming (well, not quite swimming yet. 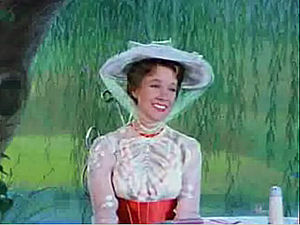 Highly chaperoned bobbing, dipping, kicking, and splashing). 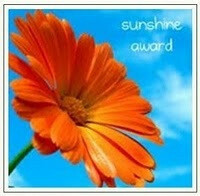 But really–thank the universe and big business for sun, chlorine, fossil fuels and car seats. The combo puts the bots right out, only a few hours after I’m ready to drop. 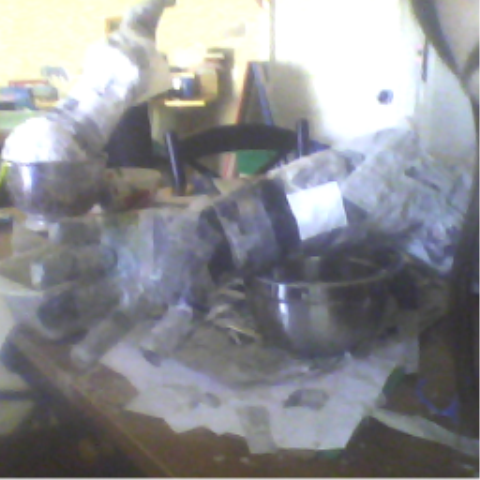 So, Ironman, the Killer Pinata now has arms. And a head (not shown). Next stop: Legs. Do I really need two that look alike? Yesterday’s news is today’s source of stress and tomorrow’s triumph….maybe.